In the idyllic ski town of Stowe in Northern Vermont, amid its covered bridges, babbling brooks and tall peaks, you’ll find the eco-luxe The Lodge at Spruce Peak. 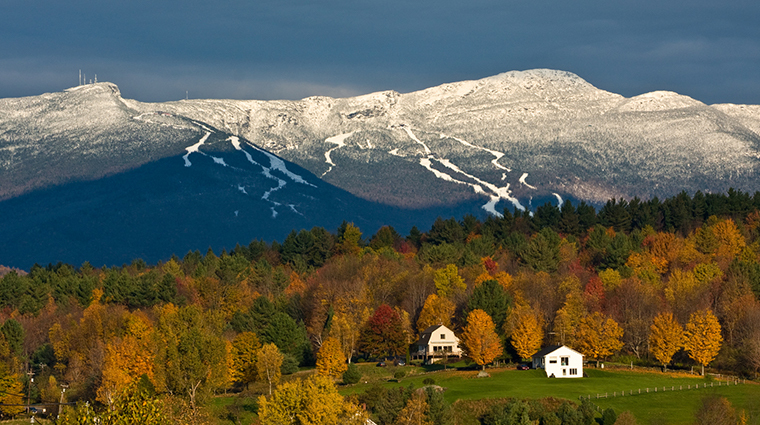 Located just steps from the base of Mount Mansfield, this ski-in/ski-out resort has woven nature into every facet of its design. 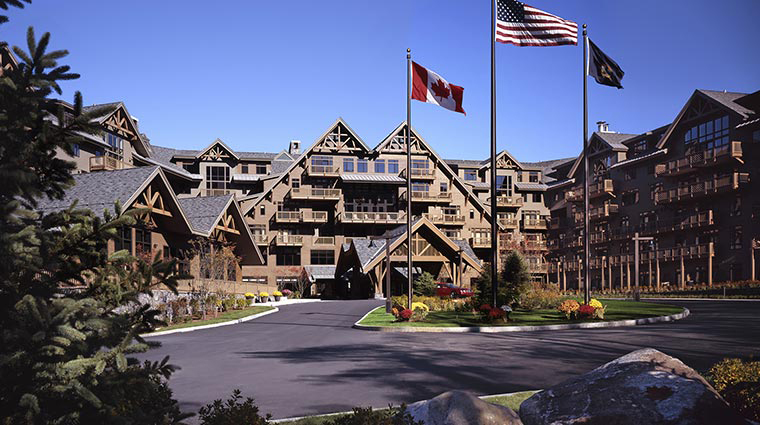 From natural stone walls to the birch bark columns, the rustic Vermont-Alpine decor is reflected in the massive lobby, with roaring fireplaces, as well as in each of the 300 guest rooms. 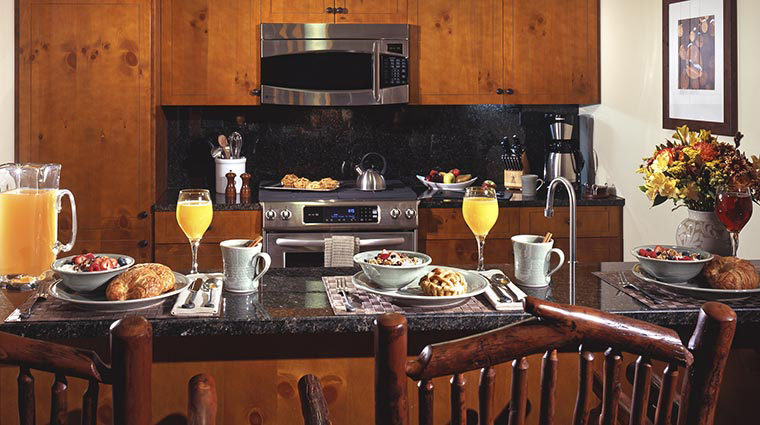 What sets The Lodge at Spruce Peak apart from other ski resorts is the service provided by Vermonters. 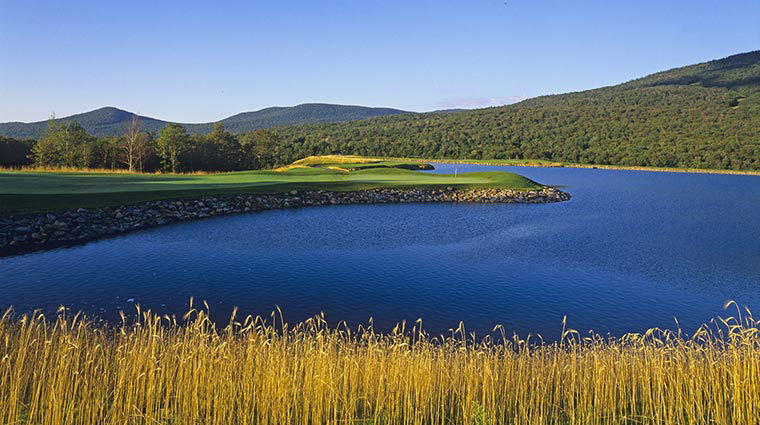 The hard-working locals are attentive, friendly and genuine, and they will make you feel at home in the Green Mountain State. 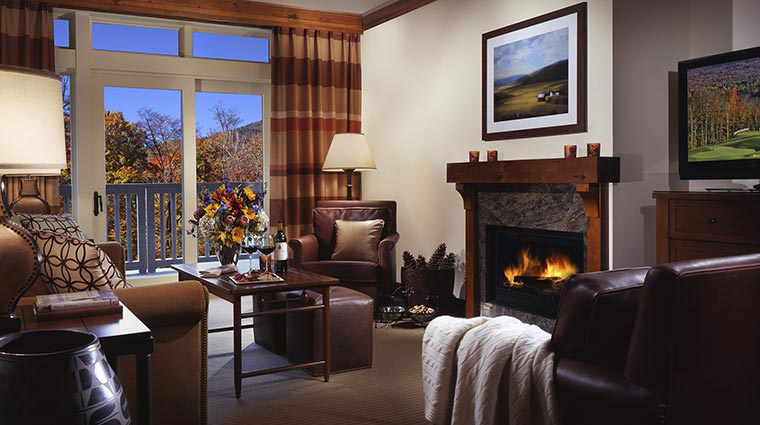 The ski-in, ski-out lodge makes this hotel the alpine center of the region for snowy weather. But in the summer, the golf courses let sports-lovers tee off in style. 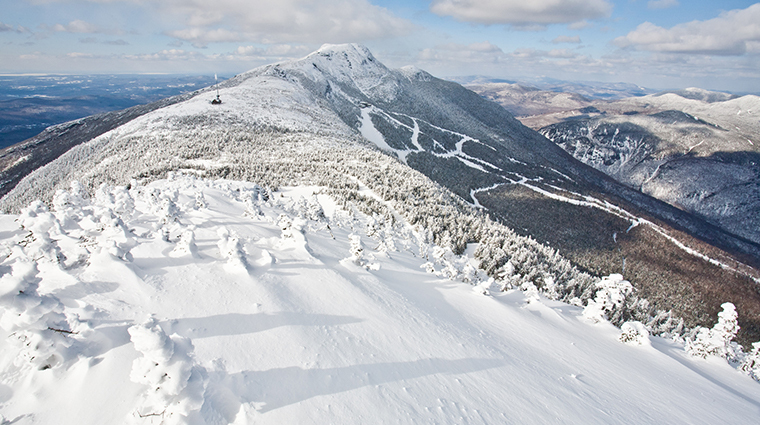 If you're looking to try something new, stop by Spruce Peak Outfitters for a personally tailored itinerary from the property's knowledgable adventure concierge. From ice-climbing and snowshoeing in the winter to hiking and bouldering in the summer, any outdoor excursion can be perfectly planned here. High-end retail shops, food markets and an ice rink together with the existing Spruce Peak Performing Arts Center will make up a plaza for you to enjoy. When you need a break from the slopes or golf course, the 21,000-square-foot Spa and Wellness Center offers plenty of places for rejuvenation. Begin your day in the “healing lodge.” The relaxation sanctuary features a beautiful raised Jacuzzi, dry sauna and cooling rain shower. Make use of the alpine concierge, which includes a ski valet service allowing you to ship your ski equipment in advance of your trip. While on property, your boots will be heated, your equipment will be tuned and your gear will be brought out to the lift. In the summer months, not only can tee times be arranged, but so can fly fishing in a nearby stream with an Orvis-certified professional guide. 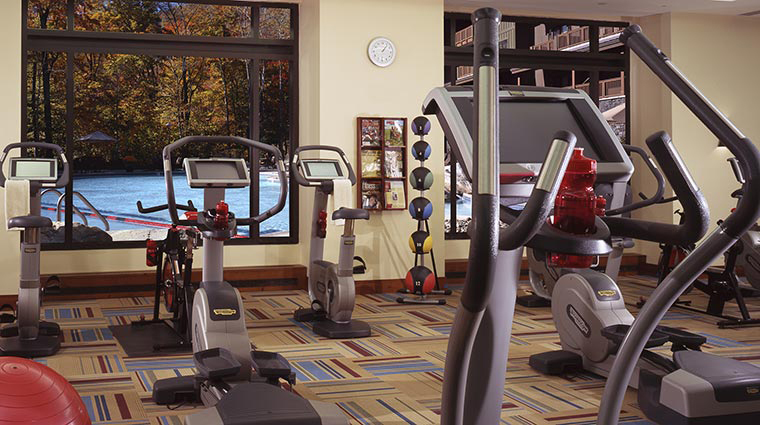 There is also a top-of-the-line beauty salon and state-of-the-art fitness center. 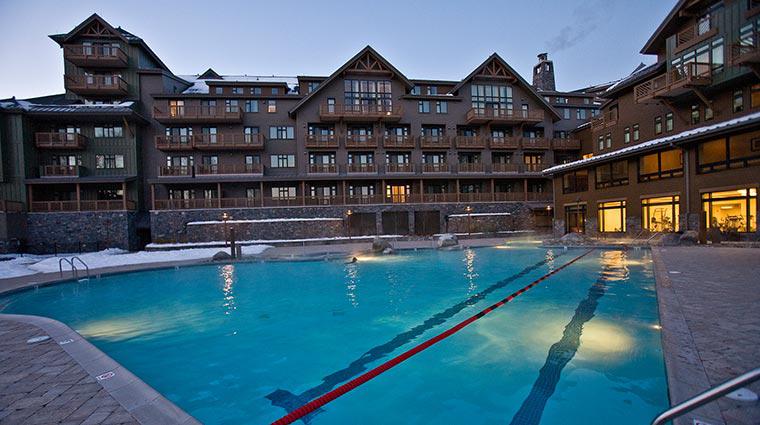 The four-season heated indoor/outdoor pool makes it possible to go for a dip even when it is -15 F outside. Book a late-day treatment in the spa and watch the sunset over Mount Mansfield from one of the settees in the coed upstairs lounge. 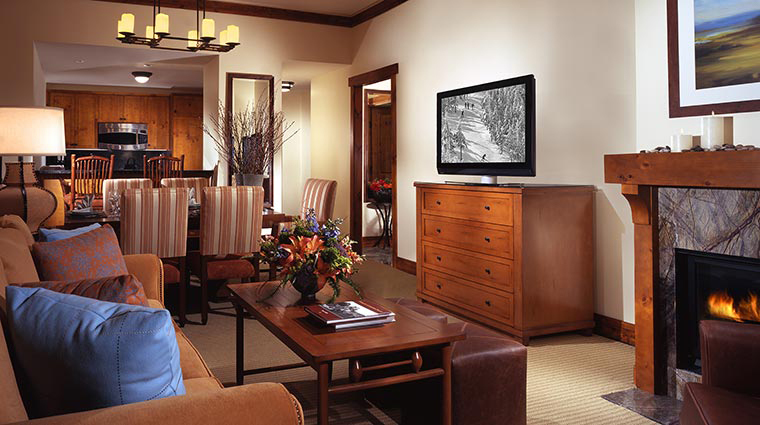 Loaded with local touches, all of the accommodations feature Vermont artisan products, such as Simon Pearce lamps or paintings from Vermont Fine Art Gallery. 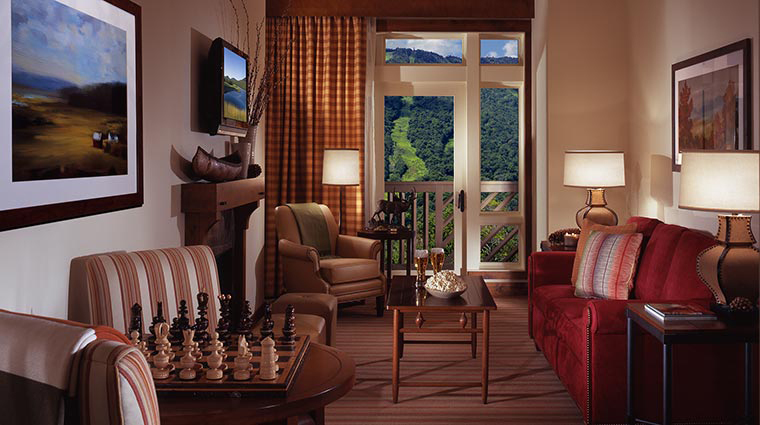 The warm-colored textiles, leather chairs and hardwood furnishings further create an upscale mountain vibe. Panoramic views can be seen through the floor-to-ceiling windows that let in copious amounts of natural light (Tip: Request a room on a high floor facing Mount Mansfield.). Despite the fact that the resort has plenty of recreational opportunities to lure you outside, you may never want to leave, as most rooms are equipped with a kitchenette, private balcony and fireplace. 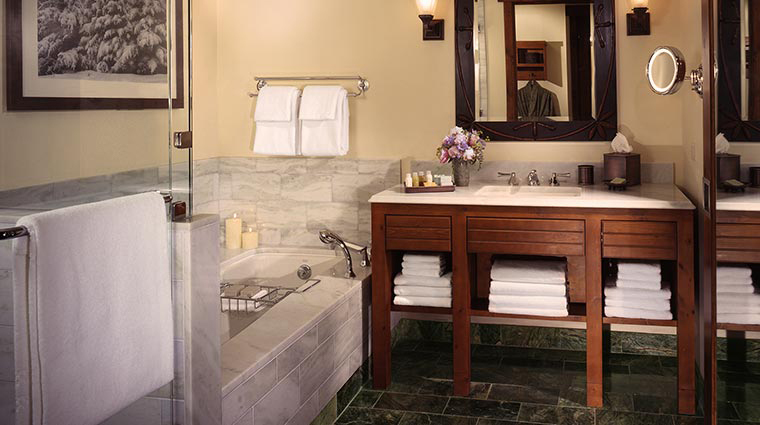 The oversized marble bathrooms are outfitted with environmentally friendly bath products from Gilchrist & Soames. 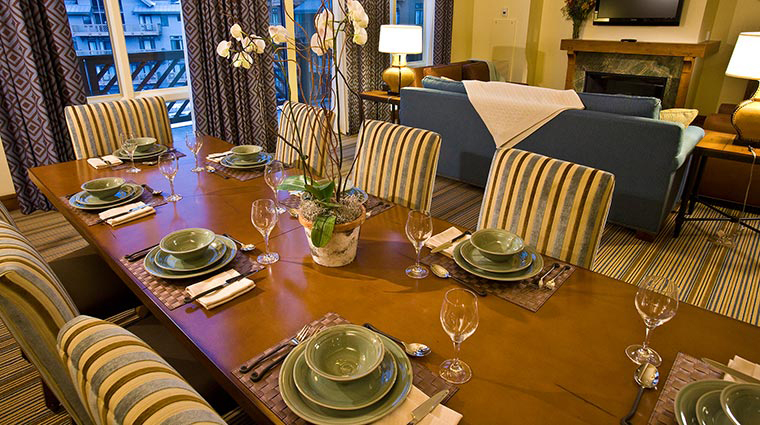 For the ultimate family escape, check into one of The Lodge at Spruce Peak's brand-new Penthouses. 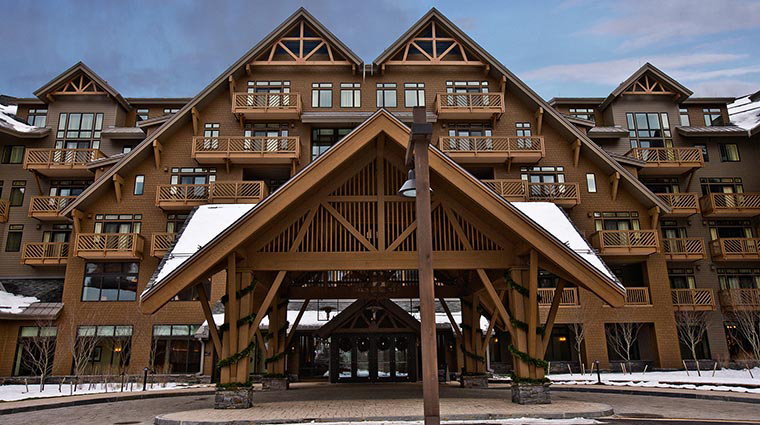 Boasting up to 2,875 square feet to spread out in, these luxe mountain accommodations offer full kitchens, private balconies, Vermont-made furnishings and plenty of perks, such as private check-in, concierge services and daily continental breakfast. In a state where folks are dedicated to the locavore movement, farm-to-table cuisine shines at Solstice Restaurant. Using as many products from Vermont as possible, the open kitchen dishes out farm-fresh produce, heirloom grains and local cheeses. Expect dishes like a salmon fillet with maple-mustard glaze, wilted spinach and crispy mushrooms. Reservations are highly suggested or you may find yourself eating at the equally delicious Hourglass Bar and Lounge next door that serves cocktails. There are also small plates (like New England lobster fritters with a sour cream and dill dip) and flatbreads made from fresh local ingredients (one is topped with shiitake, portabella and crimini mushrooms, arugula, white sauce and truffle oil). For a sensational après-ski, visit the lodge's newly opened The WhistlePig Pavilion. Warm up after a day on the slopes with Vermont craft beers, WhistlePig whiskey cocktails, fire-baked raclette and freshly baked cider donuts at this seasonal stand-out.